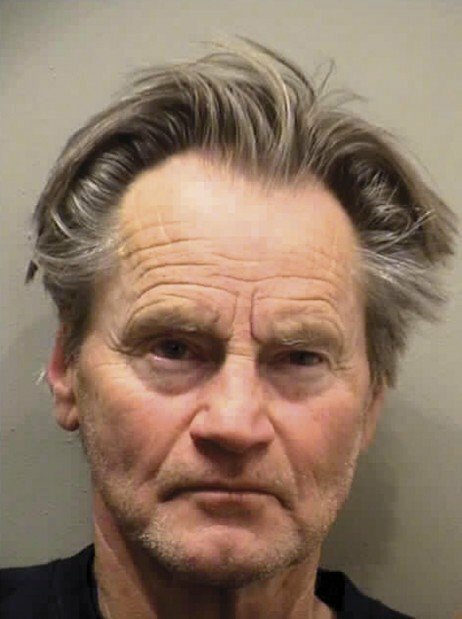 NORMAL - Pulitzer Prize-winning playwright and actor Sam Shepard was arrested early Saturday in Normal for allegedly driving under the influence and speeding after visiting a downtown Bloomington tavern, police said. Shepard, 65, of Midway, Ky., was northbound in the 700 block of North Main Street around 2 a.m. when officers clocked him on radar going 46 mph in a 30 mph zone and pulled him over, said Normal police Lt. Mark Kotte. "The way he pulled up on the curb, it appeared he was driving under the influence," Kotte said. Shepard was arrested on preliminary charges of driving under the influence of alcohol, speeding 15-20 mph above the limit and improper lane usage. His blood-alcohol level was reportedly twice the 0.08 legal limit for driving. Shepard posted $300 and was released from the McLean County jail later Saturday. Officials at the jail said he had no court date scheduled. Shepard told police he was passing through Bloomington-Normal on his way from Minnesota to Kentucky, where he listed his home address. The 2007 Chevy Tahoe was registered in Kentucky, Kotte said. Shepard told police he had been at Fat Jack's, 511 N. Main St., Bloomington, and was driving to the Best Western, 6 Traders Circle, in north Normal to spend the night. Shepard was alone in the sport utility vehicle, except for a poodle, Kotte said. Tyler Holloway, owner of Fat Jack's, told The Pantagraph that Shepard has visited his tavern at least four or five times before this weekend after initially hitting it off with a bartender who recognized him. Holloway said the Kentucky-based Shepard drives through the area on visits to Minnesota and Montana. 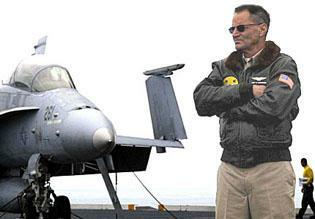 "He doesn't like to fly, from what I hear," Holloway said. "He likes our place." Shepard autographed a bottle of Woodford Reserve bourbon - reportedly his favorite drink - for Fat Jack's, Holloway said. The actor is friendly when he stops in, he added. "He chit-chats with the regulars," he said. An employee at the Best Western declined to comment on whether Shepard had stayed there before. Pets are allowed at the hotel, according to the company's Web site. Shepard, who won the 1979 Pulitzer Prize for drama for his play "Buried Child," also has acted in dozens of films, including "Black Hawk Down," "The Notebook" and "The Right Stuff." Shepard was born in Fort Sheridan in northern Illinois and lives with longtime partner and actress Jessica Lange. They have two children. A message left at Shepard's attorney in New York was not immediately returned Saturday. Bridget Flynn contributed to this report. How does the Pantagraph miss the most important part of the story this is the 2nd time he has got a DUI here in town after being at Fat Jacks. The Pantagraph and for that matter jsut about every news outlet seldom get half the story right. It is amazing how poorly news people are at getting a story right. Dummies, its the same story. Look at the date. Its due to the Pantagraphs junky website and how it recycles old articles. Kind of poor taste since he just died.